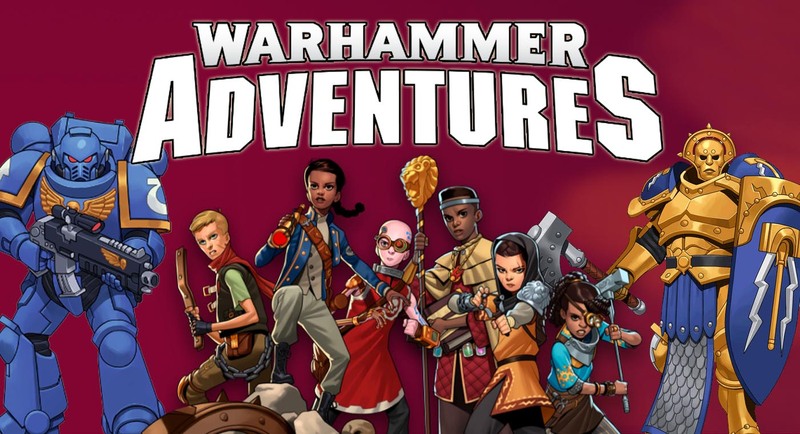 Warhammer Adventures, the upcoming children’s series for both 40K and the Age of Sigmar are more upcoming than you’d think, what with the first book in each series being up for pre-order as of today. But that’s not all–here you’ll also find the audio versions of these books (as narrated by David Tennant and Billie Piper), and the first in a series of six animated shorts featuring the heroes of Warhammer Adventures. While we don’t know what the order is, the first adventure features the young tech-priest adept, Mekki and his Jokaero companion, Fleapit, working together in a lab to build a rather complex looking device together. Looks like some kind of Vox device, if you ask me. The first books in this incredible new range of stories for younger readers are available to pre-order now. 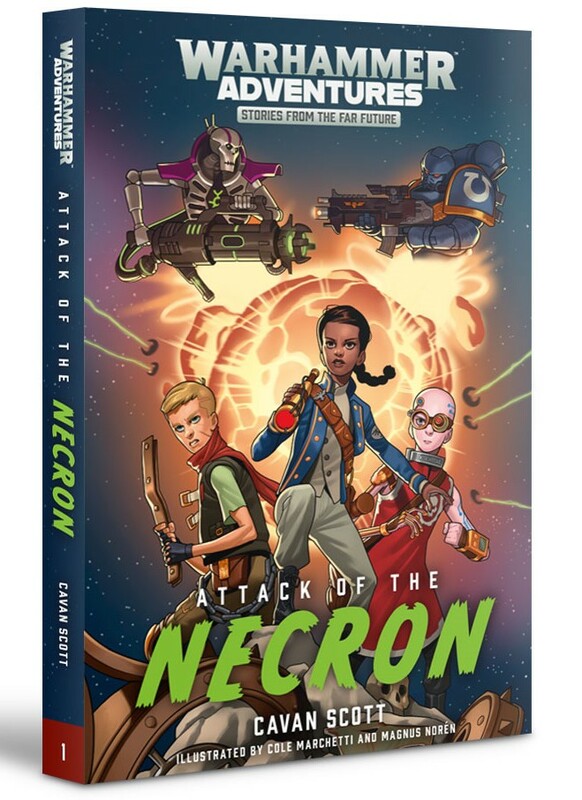 In the far future, Zelia Lor and her friends seek the mysterious Emperor’s Seat, but first, they must escape the Attack of the Necron, before the undying metal aliens destroy their world. Meanwhile, in the Mortal Realms, a whole new world opens up for Kiri when she is liberated from a Darkoath slave camp. 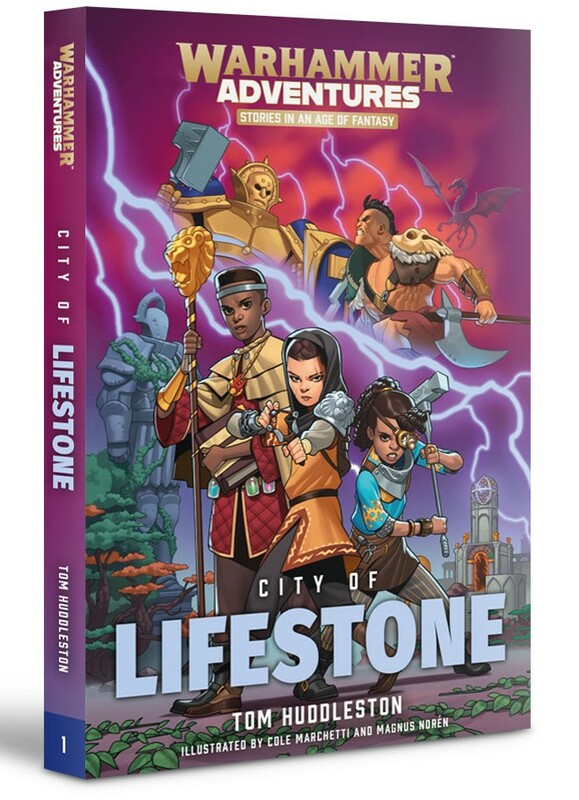 Embarking on an adventure with other mysteriously marked children, danger awaits her as she seeks the City of Lifestone. Both of these new novels – by Cavan Scott and Tom Huddleston – are perfect for bedtime, and we reckon you’ll enjoy the action-packed tales just as much as your children do! They’re available to pre-order in paperback, eBook and CD audiobook now. So pre-order yours today, and be sure and stay tuned for more animated shorts as they come out!